You are currently browsing the tag archive for the ‘Rainbow Trout’ tag. Rivers come to mind. The Pacolet River isn’t even a remote thought for most. The state of North Carolina regularly stocks the Pacolet from the Falls to the Hwy 108 Bridge in Lynn. 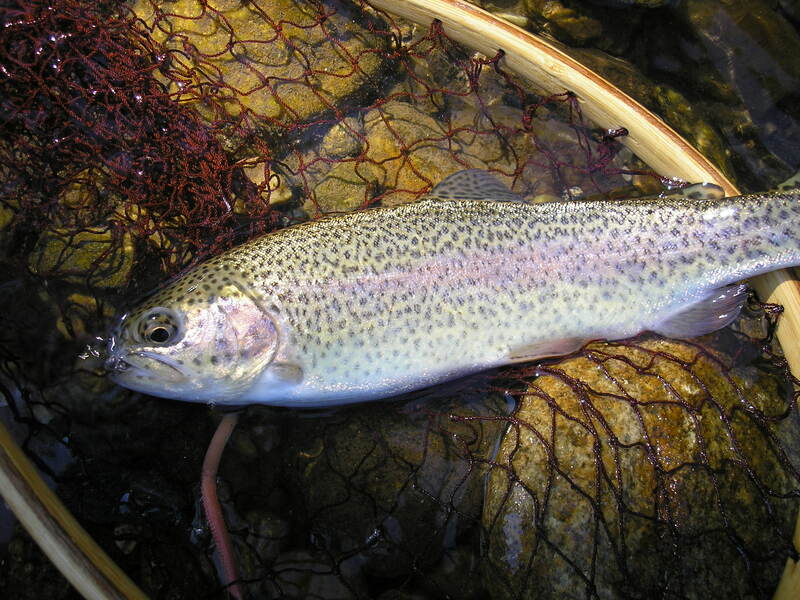 Rainbows and brown trout present anglers with ample opportunities. I’d fished the Pac a few times, in the past with, some success, but after hearing that fish are regularly released at Harmon Field, I decided to give that stretch a try. As I grabbed my gear that familiar smirk came across my face. It happens every time I go. I’m instantly reconnected to the child within, remembering the excitement of catching my first fish as a young lad. As I approached the river I could hear the squeals of young children splashing in a shallow pool, near the cabin area. I decided to start at the footbridge and work my way up. A deep hole, next to a concrete block, with fast water provided the perfect starting point. Autumn Olive (elaegnus umbellata) berries contain up to 17 times more lycopene than tomatoes? Lycopene has powerful antioxidant properties. These wild berries make an excellent jelly and are available right now!! "If you eat Tyson Chicken!...You need to know this!" Trout Fishing in Western North Carolina - "God's Country Revisited"